PTAC units are at the core of climate control equipment for Hospitality, Healthcare, and Education facilities. 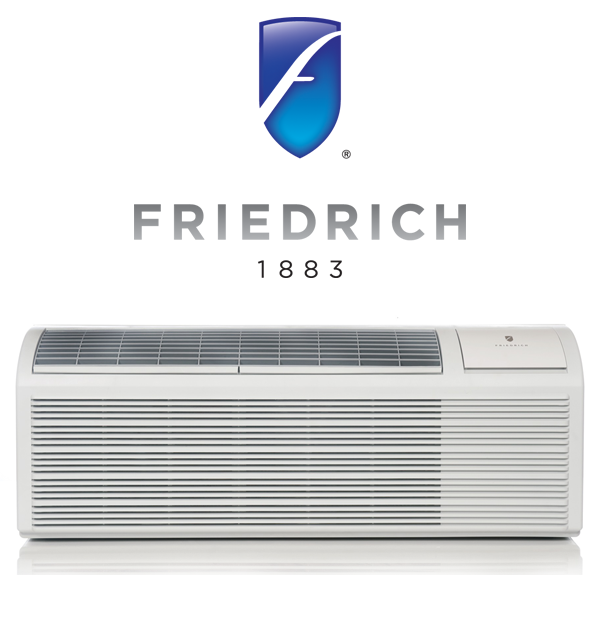 A quiet, durable, and efficient packaged terminal air conditioner will reduce front desk calls, increase positive reviews, and save your business a noticeable amount of money per room every year. 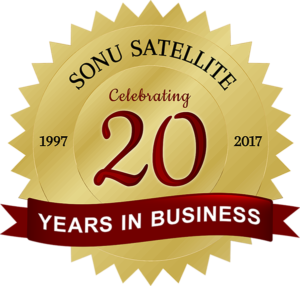 Sonu Satellite has been serving Lodging & Hospitality businesses nationwide for over 20 years, and we take great pride in offering our commercial clients the best in guest room technology. We have taken a great deal of time reviewing the PTAC units offered below, and highly recommend them for both commercial guest room heating and air conditioning. 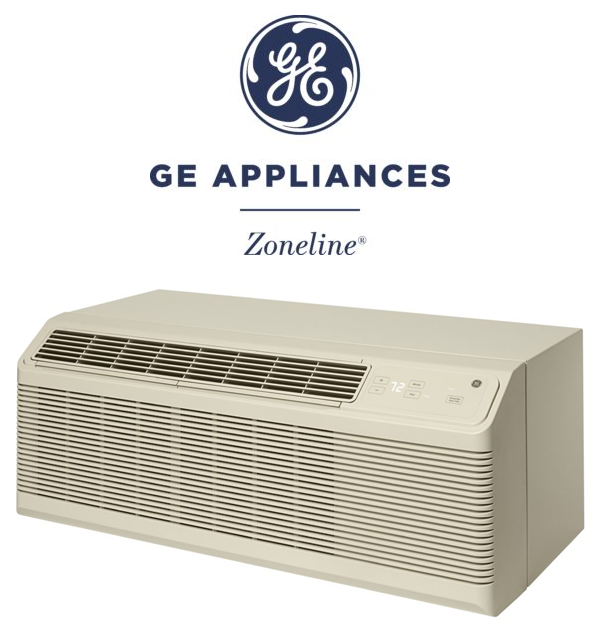 Packaged Terminal Air Conditioners are self-contained heating and air conditioning systems commonly found in hotels, motels, college dormitories, senior living communities, and hospitals. Commercial PTAC Units are placed within a secure opening in each guest room wall, and designed with vents and heat sinks both inside and outside of the room. Construction standards for Hospitality, Healthcare, and Education normally regulate PTAC air conditioner dimensions within their initial guest room design specifications. The three most commonly found commercial PTAC unit dimensions are 42×16 inches (1067 x 406 mm), 36×15 inches, and 40×15 inches. There are a few important details to consider when choosing PTAC units for your property. First and foremost is your local climate. 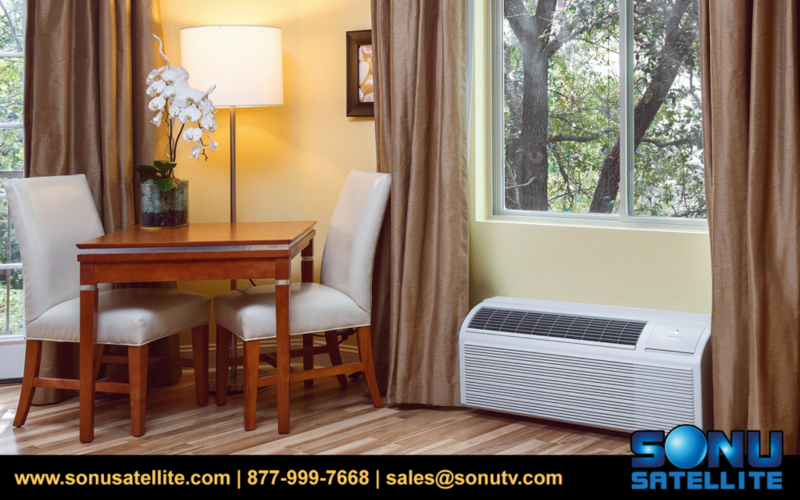 Sonu Satellite offers commercial air conditioners with both heating and cooling available, but cooling only models are also an option for businesses who do not need heating during the year. Coastal facilities should also take into account the environmental effects of salt air. Choosing a PTAC unit with corrosion protection will save coastal businesses multiple service calls and unnecessary replacements of air conditioning equipment. Choosing the size of your commercial PTAC unit is also affected by the previously listed conditions, as well as others. Guest room location, insulation, occupancy, size and location of windows, and your property’s electrical system are all extremely important details. Contact Sonu Satellite to speak with a qualified commercial PTAC unit sales rep before requesting your quote. Our primary goal is to provide your business with the best solutions available.